I’m not sure how security checks to make sure an item is explosion proof. Seems like they’d have to try and blow the item up in order to determine its unexplodability. My son didn’t make clear to me if security was only exploding luggage or also exploding people. I’ve never agreed with the philosophy of calling all children special, and I certainly disagree with designating children as ‘special’ just for being un-accompanied. It seems merely lacking a companion sets the ‘special’ benchmark pretty low. As a matter of fact, doesn’t a child completely lacking in companions seem more likely to be the opposite of special? Seems like a truly special child should have constant offers of accompaniment. Congratulations to stuffialmostbought on winning the caption contest. See her prizes and submit a caption in the new caption contest. I thought the airport was running a “special” on all unaccompanied children. Like a blue light special. Me too. And it must have been really popular, because it looks like they’re sold out. That’s what I thought, too. Sort of like a unclaimed luggage sale. The airlines could probably make a lot of extra money selling off lost or unwanted passengers. I don’t think they’d do that over there, Blinky… I hear they have a very liberal organ donor programme in China. I totally thought the same thing. Buy one get one free on all unaccompanied children! Get yours before they run out! That looks like Thai writing to me, and I too thinks it had more to do with advertising then nice thoughts. I thought you could just drop your children off, unaccompanied, and the airline would take care of them for a little while…. Maybe that was just a one-time flight for unaccompanied kids? Like the old passenger train “specials”? 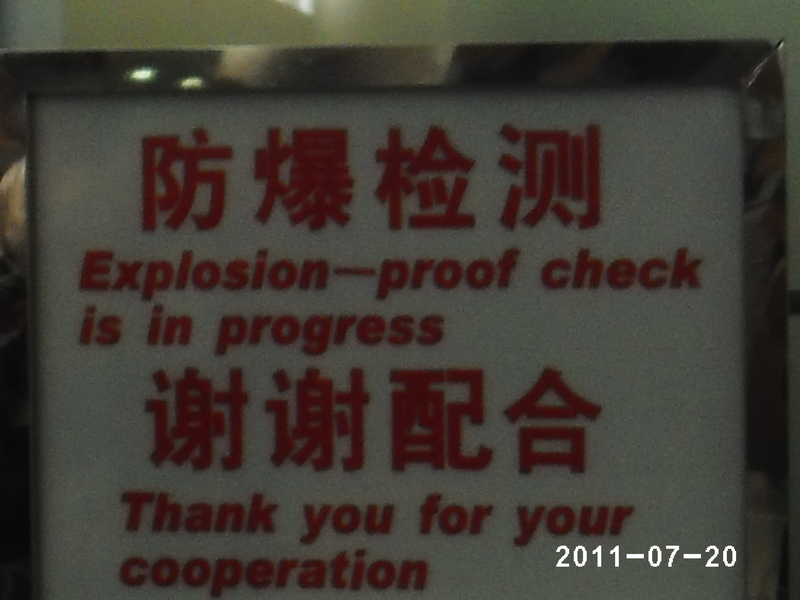 And personally, I’d like to see a little explosion-proof checking in an airport. A few fireworks makes the wait SO much easier. Believe me, I’ve tried, but even pre-9/11, airport security just didn’t see the fun in a cluster of bottle rockets flying through O’Hare Terminal 2. I just can’t understand why………..
All we have left that’s fun at the airport are “blue angels”, and I’m not talking about the precision flying squadron. It’s not Chinglish, but one of the funniest signs I’ve seen was “Unaccompanied children will be given free candy and a kitten”. I needed somthing to smile about! I agree with your thoughts on unaccompanied children. 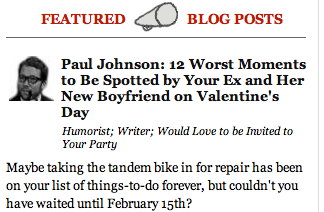 I wish there were none. That sign looks a little rickety to me. It’s good that they were checking items, not people. 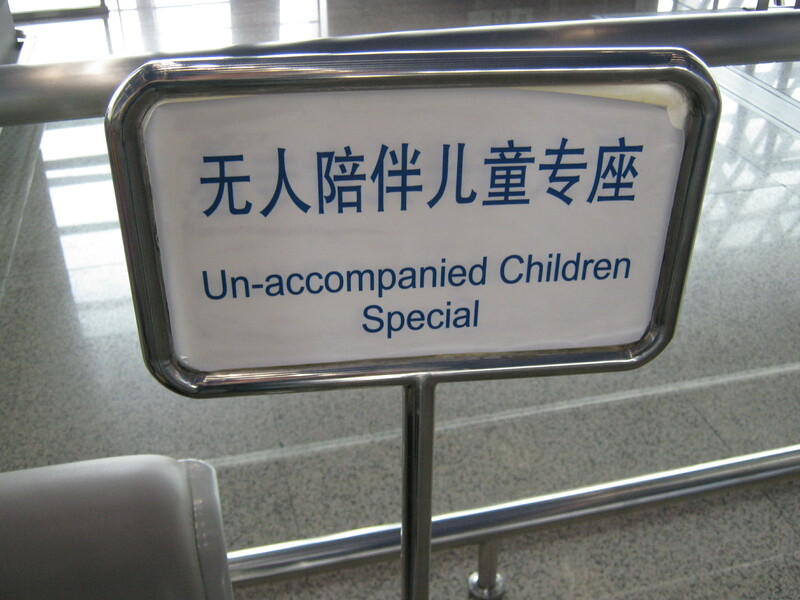 Perhaps children who are left un-accompanied in an airport have parents that are “special”! This is terrifying. I can only assume the unaccompanied children are being used in the explosion proof tests, and that sounds illegal. I love these so much. That is all. This is why you should never come back from Singapore. Just stay there forever and keep taking pictures of signs for our amusement.